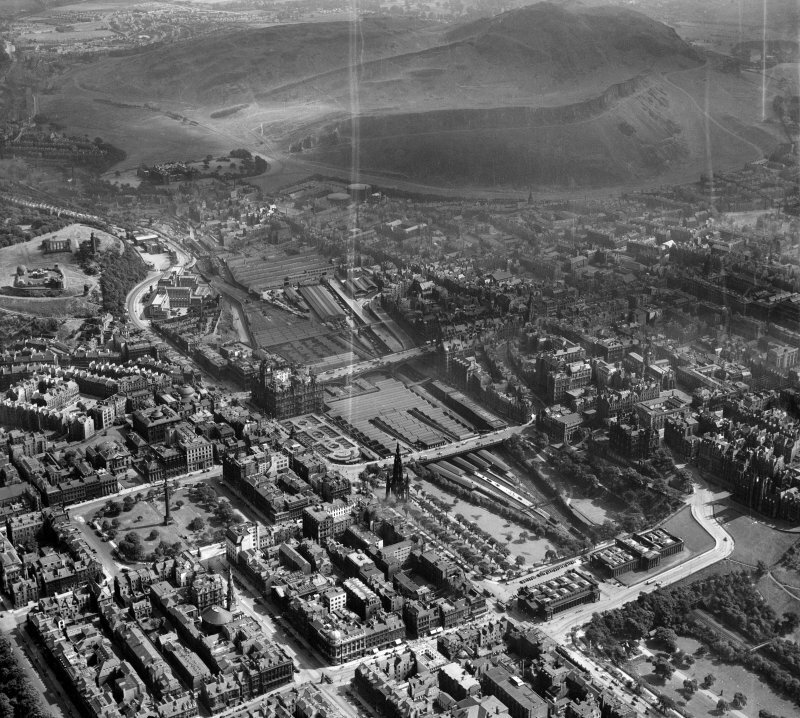 View of King's Own Scottish Borderers Memorial, from W.
Edinburgh, general view, showing Waverley Station and Holyrood Park. Oblique aerial photograph taken facing east. 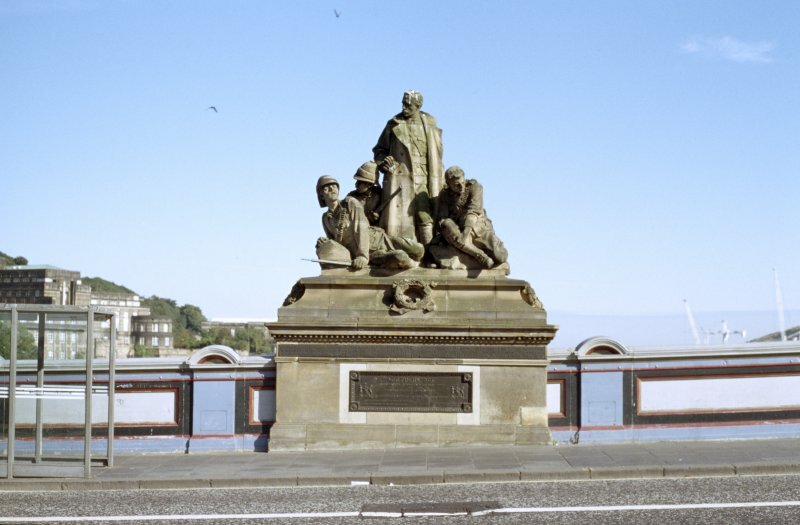 Group of four over-life-size soldiers overlook passers by from a corniced stone base built into the centre of the east parapet of the North Bridge. The central officer stands in his open greatcoat gazing to his right and holding binoculars in his right hand, his left hand on the rock behind and his left knee slightly forward. To his right, two helmeted soldiers, the front one propping himself up with his right elbow and hand on a rock, his left holding a rifle along the ground; the kneeling soldier behind him holds his rifle at an angle in front of his officer's coat and looks out to his right. The bare-headed young man on the right of the group, seated on a rock on the officer's left, has been wounded. He holds his right shin with his left hand, and stares pensively down to the south-west corner of the base. A laurel wreath (the emblem of Victory) lies centrally and at an angle on the front curve of the base (the back of which has angled-back corners), and at each side. Signatures : Incised letters on S.W. corner of base: BIRNIE RHIND / SCULPT.